Salmon fishcakes, soy and lime dipping sauce - home cooked food delivered. 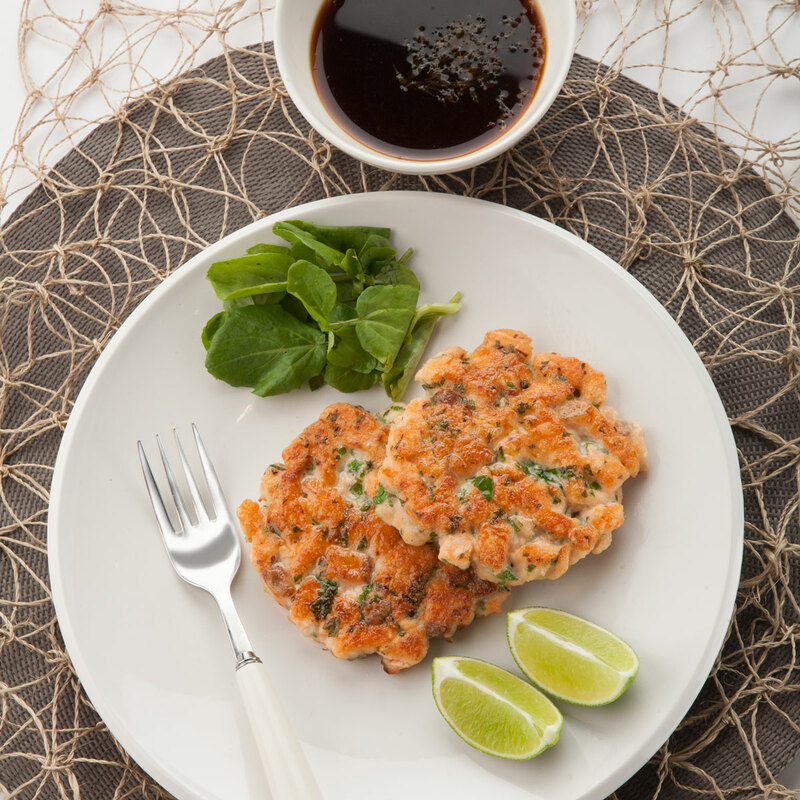 These Asian influenced fish cakes fuse a range of amazing flavours, from salmon to kaffir lime leaves to wasabi paste, to create a unique and delicious taste explosion. Dipping them into the fragrant soy and lime sauce takes the “wow factor” right off the scale. Shallow fry in hot oil for approx 5 mins each side until golden brown and making sure the product is cooked through.